Tell the U.S. Fish and Wildlife Service that American trophy hunters shouldn’t be killing ANY endangered elephants in Africa. But there are Americans who still want to hunt and kill them. Under a court order, the FWS announced in March it would consider offering permits to import elephant “trophies” on a case-by-case basis. New research shows that killing one elephant can have long-lasting, harmful impacts on elephant society as a whole. 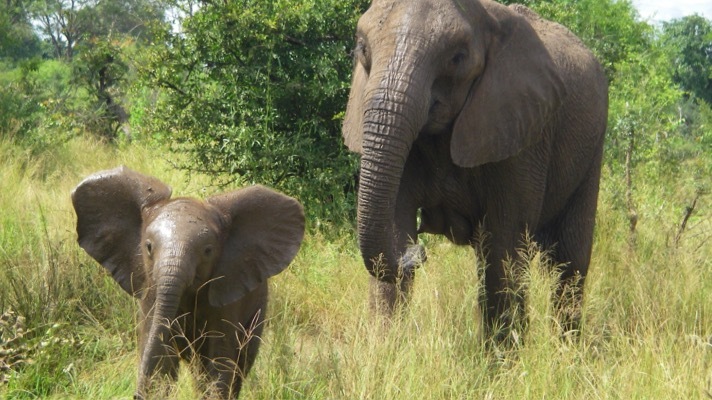 Baby elephants thrive in families — called herds. But when a baby elephant’s mother is killed, an orphaned elephant likely won’t get access to the resources it needs to live a full life.2,3 This lack of resources can lead to difficulty surviving illnesses, stress, delayed calving and even difficulty keeping their future calves alive. So, the death of a calf’s mother — often at the hands of humans, including those who want to hunt them for sport — can impact a baby elephant for the rest of its life. That puts the survival of the entire species in further danger, as elephant families start to break down. With elephant populations vulnerable to extinction, it’s clear we need to act. Right now, the U.S. Fish and Wildlife Service (FWS) has the ability to decide whether hunting permits are issued for African elephants. Send a message to the U.S. Fish and Wildlife Service: don’t let U.S. hunters kills more elephants. Add your name today. At Environmental Action, we have a two-pronged approach. First, we’re working to pass the Prohibiting Threatened and Endangered Creature Trophies (ProTECT) act, which would ban taking for trophy and the importation of any endangered or threatened species. But until then, the FWS could begin issuing permits to hunt African elephants at any time. That’s why we’re petitioning the FWS to do the right thing. Add your name today to implore the agency: Think of elephant families when making the decision whether to grant a permit to hunt them. 2. Shifra Z. Goldenberg and George Wittemyer, “Orphaning and natal group dispersal are associated with social costs in female elephants,” Animal Behaviour, Volume 143, September 2018. 3. Joshua Rapp Learn, “Elephant orphans face added challenge: bullying,” National Geographic, October 4, 2018.